San Diego Comic-Con 2018 starts tomorrow July 19-22, 2018 and ComiXology is celebrating with a huge sale with discounts up to 80% off. DC SDCC 60% Off Sale (use code 'DC60' at cart) ends Thursday, July 19, 2018. Marvel: Best-Selling Collections sale ends Thursday, July 26, 2018. Here are some recommended titles to get you started. They include some of the most thoughtful comics ever written about Superman, Black Panther, Luke Cage and more. 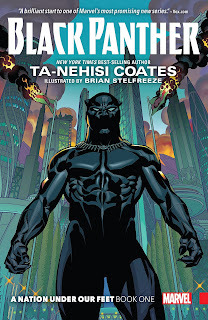 They include some of the greatest writers and artists in the business like Alex Ross, Ta-Nehisi Coates, Stan Lee and more. Synopsis: "The amazing creative team of writer Grant Morrison (BATMAN: ARKHAM ASYLUM) and artist Frank Quitely (WE3) join forces to take Superman back to basics and create a new vision of the World's First Super-Hero. Witness the Man of Steel in exciting new adventures featuring Lex Luthor, Jimmy Olsen, Lois Lane, Bizarro, and more. 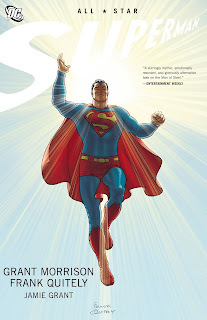 Collects All Star Superman #1-12"
Collects Black Panther And The Crew #1-6. 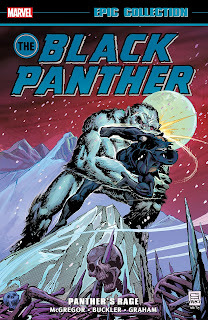 "Black Panther, Storm, Luke Cage, Misty Knight and Manifold band together to take on a dangerous wave of street-level threats in a new series by co-writers Ta-Nehisi Coates (New York Times best-selling author of Between the World and Me and Marvel's Black Panther) and Yona Harvey (Black Panther: World of Wakanda), and legendary artist Butch Guice! 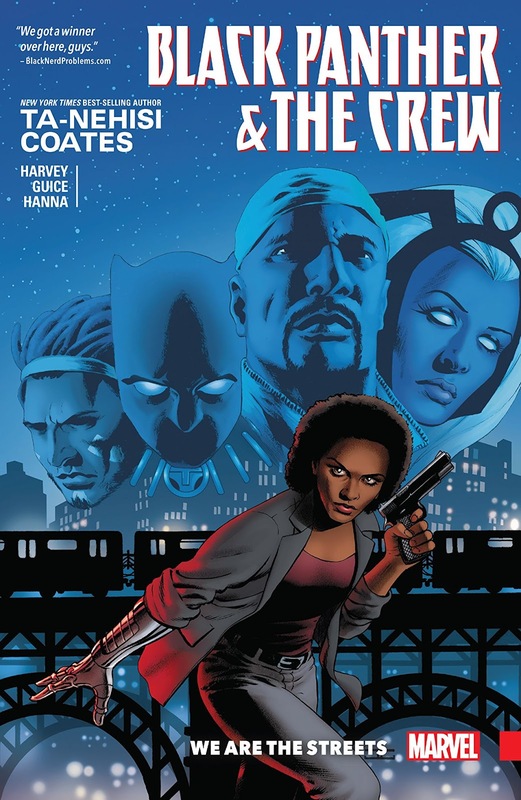 The death of a Harlem activist kicks off a mystery that will reveal surprising new secrets about the Marvel Universe's past - and set the stage for a huge story in the near future! 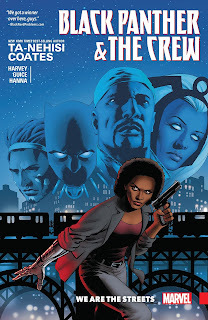 Fear, hate and violence loom, but don't worry, The Crew's got this: They are the streets." 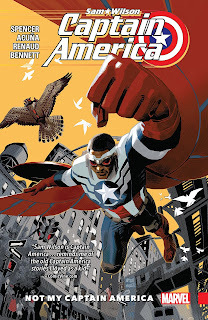 Collects Captain America: Sam Wilson #1-6. "When Steve Rogers was restored to his natural age, he chose one of his closest and most trusted allies to take up his shield: Sam Wilson, formerly the Avenger known as the Falcon! But Sam isn't Steve — and after recent events, he's on the outs with both his old friend and S.H.I.E.L.D. What could have sent the high flying new Cap's approval rating plummeting so dramatically? 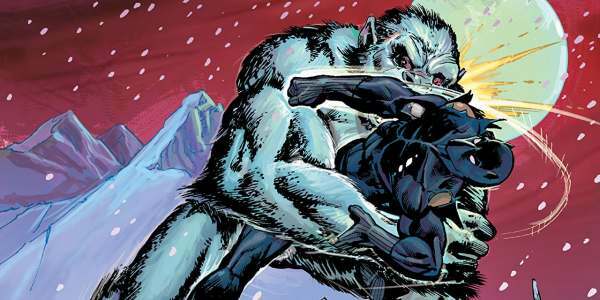 Things get slithery when the vile Sons of the Serpent make the scene, and you'll howl at the glorious return of fan-favorite Cap-Wolf — well, Fal-Cap-Wolf! But what other horrors await in the dungeon of Doctor Malus? And who will be the All-New, All-Different Falcon? The headline-making Sam Wilson is a Captain America for today!" 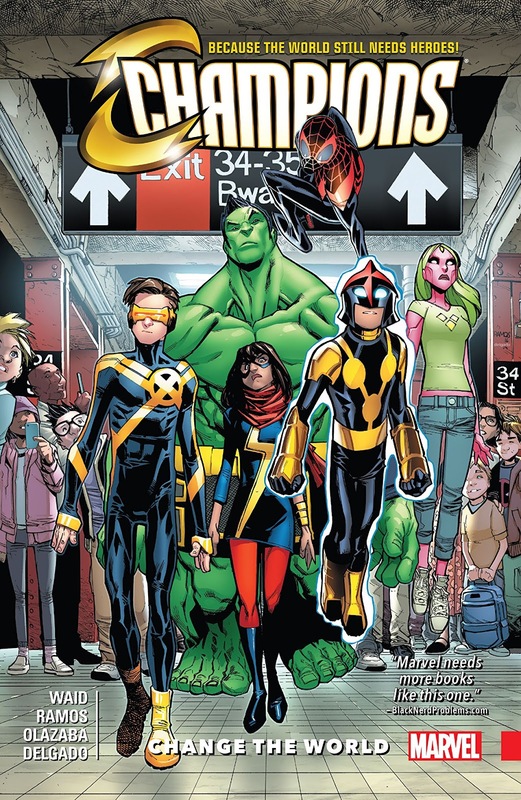 "One of the great team names in Marvel history returns, in incredible new fashion! During the fallout of Civil War II, Ms. Marvel, Nova and Spider-Man quit the Avengers and strike out on their own! With Viv Vision and the Totally Awesome Hulk by their side, these young heroes are determined to change the world their own way - and they're only the beginning! It starts as an idea. It becomes an ideal. But what happens when it turns into a movement - one so big even the Hulk can't stop it? And will one of the greatest X-Men of all forge a new future by their side? Welcome to the Champions, Cyclops! Unfortunately, not all of your new would-be teammates are glad to see you!" "A new Iron Age begins! From the violent streets of Chicago, an armored hero rises! 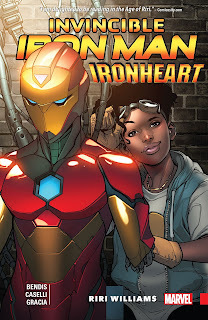 Clad in her own Iron Man suit, Riri Williams is ready to show the world what she can do as the self-made hero of tomorrow. Her technology just might change the world forever — if she survives that long! But is she ready for all the problems that come with stepping into Iron Man's jet boots? Problems like her first big villain. And the other guy running around as shell-head. And the laundry list of criminals looking to destroy Tony Stark's legacy. Oh, and all the super-teams out to recruit her! 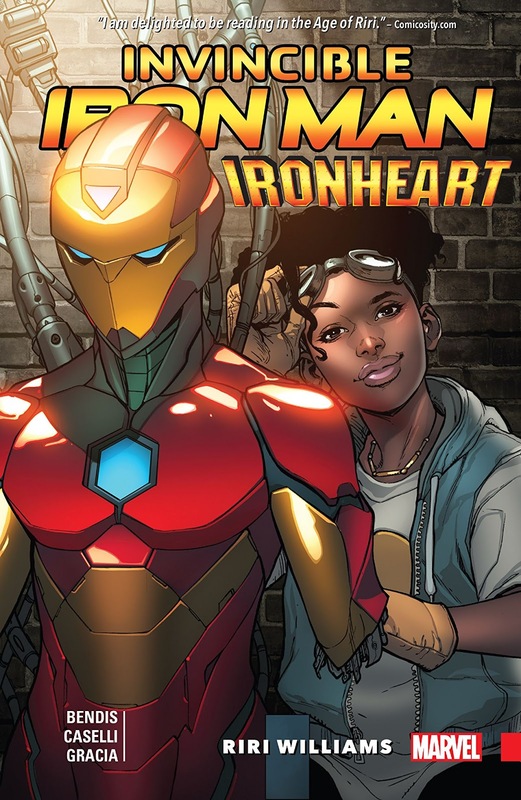 As Riri's adventures go viral, it's time to claim an alter ego of her own — welcome to the Marvel Universe, Ironheart!" Synopsis: "The unforgettable, best-selling miniseries by acclaimed writer Mark Waid and superstar painter Alex Ross returns, with a sketchbook section, annotations on the series, rare art and more! Set just after the dawn of the 21st Century in a world spinning inexorably out of control comes this grim tale of youth versus experience, tradition versus change and what defines a hero. 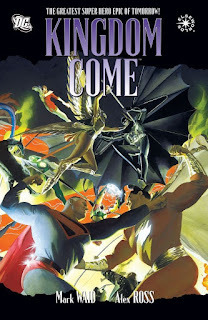 KINGDOM COME is a riveting story pitting the old guard--Superman, Batman, Wonder Woman and their peers--against a new uncompromising generation and ultimately in the final war against each other to determine nothing less than the future of the planet." Collects Moon Girl and Devil Dinosaur #1-6. "Lunella Lafayette is a preteen genius who wants to change the world, but lives in fear of the Inhuman genes inside her! Now, Lunella's life is turned upside down when a red-scaled beast is teleported from the prehistoric past to a far-flung future we call...today! 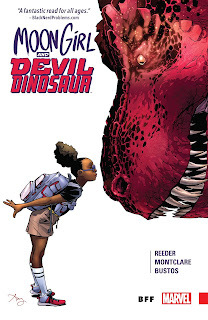 Together they're the most Marvelous Team-Up of all — Moon Girl and Devil Dinosaur! But will they be BFFs forever, or just until DD's dinner time? And Lunella soon learns that there are other problems with having a titanic T-Rex as a pet in the modern-day Marvel Universe. School, for one. Monster hunters are another — especially when they're the Totally Awesome Hulk! Then there's the fact that everyone's favorite dino didn't journey through time alone. Beware the prehistoric savages known as the Killer-Folk — New York City's deadliest tourists!" Collects Ms. Marvel (2014) #1-5, All-New Marvel Now! Point One (Ms. Marvel story). 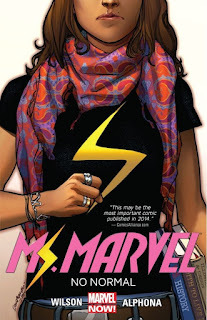 "Marvel Comics presents the all-new Ms. Marvel, the groundbreaking heroine that has become an international sensation! 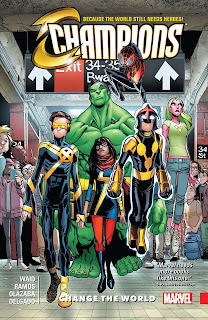 Kamala Khan is an ordinary girl from Jersey City - until she is suddenly empowered with extraordinary gifts. But who truly is the all-new Ms. Marvel? Teenager? Muslim? Inhuman? Find out as she takes the Marvel Universe by storm! As Kamala discovers the dangers of her newfound powers, she unlocks a secret behind them as well. Is Kamala ready to wield these immense new gifts? Or will the weight of the legacy before her be too much to handle? Kamala has no idea either. But she's comin' for you, New York!" "Cindy Moon exploded into the Marvel Universe when we learned she was bitten by the same radioactive spider that empowered Spider-Man! She then went on to save Peter Parker's life (more than once!) and traverse the Spider-Verse. 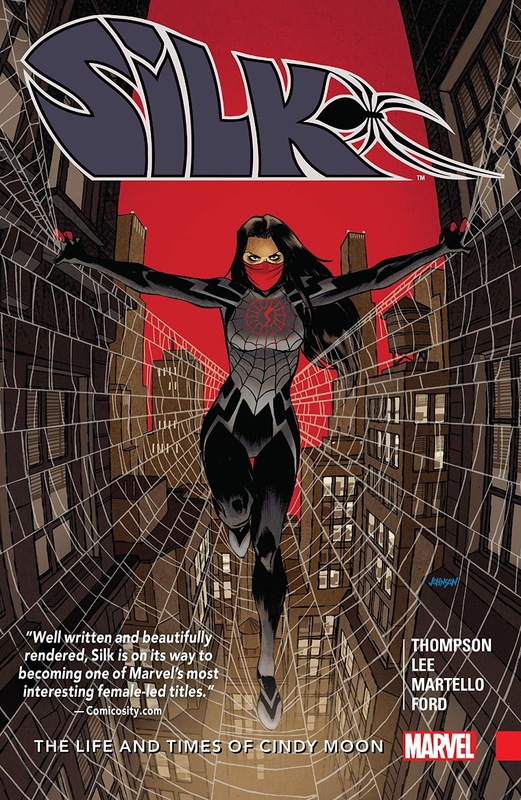 Now, as Silk, Cindy is on her own in New York City, searching for her past, defining her own future, and webbing up wrongdoers along the way! But she's about to cross the Black Cat's path, and that's not good news for her! 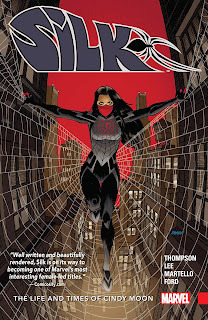 Silk has been picking at the edges of Black Cat's operation, and Felicia Hardy has had about enough. Felicia gets the drop on Cindy, and Silk hits rock bottom. Can even a team-up with Spider-Man save the day? Plus: a date with Johnny Storm! Secrets of Silk's past revealed! Will Cindy Moon ever find her family?" "Miles Morales is hitting the big time! Not only is he joining the Marvel Universe, but he's also a card-carrying Avenger, rubbing shoulders with the likes of Iron Man, Thor and Captain America! And he'll soon be a media sensation in this All-New, All-Different New York! One thing's the same, though: non-stop action! Like when Earth's Mightiest heroes all fall, and Miles stands alone against a villain with the power to destroy the universe. Or when the Black Cat tries to get her claws in this new Spider-Man. Or when a new mutant threatens to grab the spotlight! 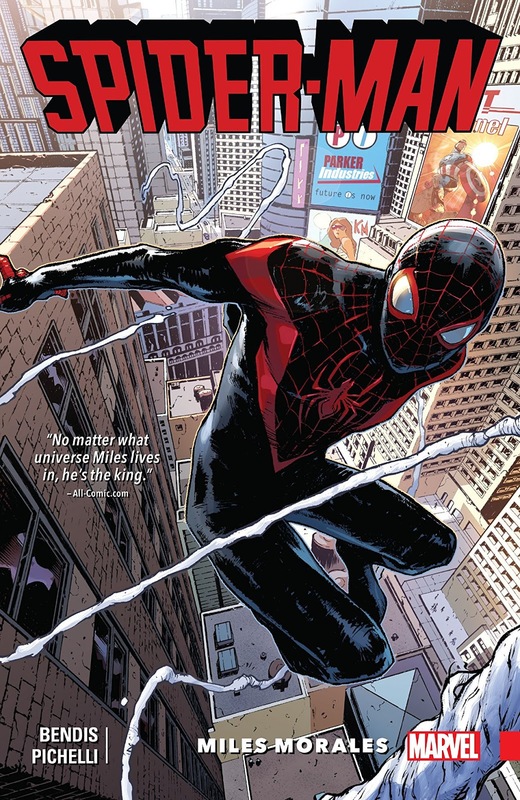 And don't forget Miles' toughest foe yet: his grandmother! But his grades might be the ultimate challenge — maybe a study session (date?) with Ms. Marvel would help? Welcome to the neighborhood, Spider-Man — hope it's friendly!" 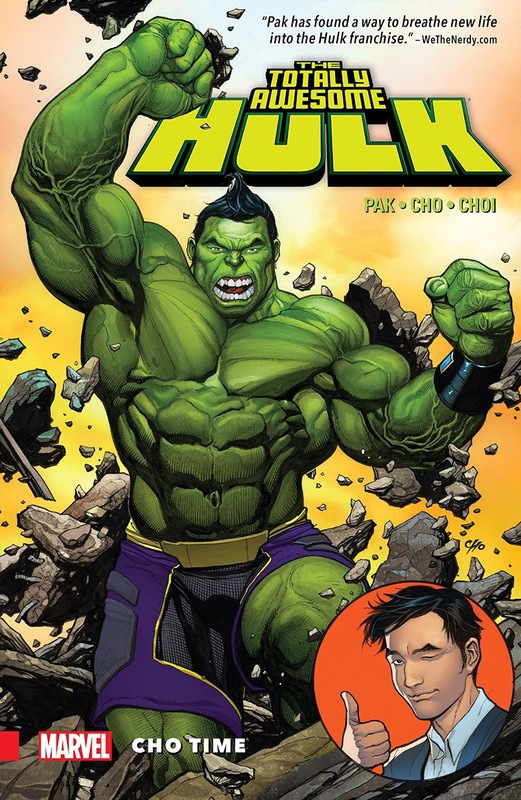 Collects The Totally Awesome Hulk #1-6 and material from Planet Hulk (2015) #1. Synopsis: "There's a brand-new Hulk in town, and his name is Amadeus Cho! Get ready for gamma-fueled entertainment as the newly empowered kid genius decides he's gonna be the best Hulk ever — and just possibly brings the entire world crashing down into chaos! Cho is taking on the biggest monsters in the Marvel Universe, but can he handle the danger posed by Lady Hellbender? What will She-Hulk and Spider-Man make of this very different Green Goliath? What will the Enchantress make him do? And what, exactly, happened to Bruce Banner? With monster mayhem in the Mighty Marvel Manner, this is better than incredible — it's totally awesome! Plus: amazing science, SECRET WARS style, starring the Amadeus Cho of Battleworld"
While these deals are incredible it's worth mentioning that many of these are free with a ComiXology Unlimted account.